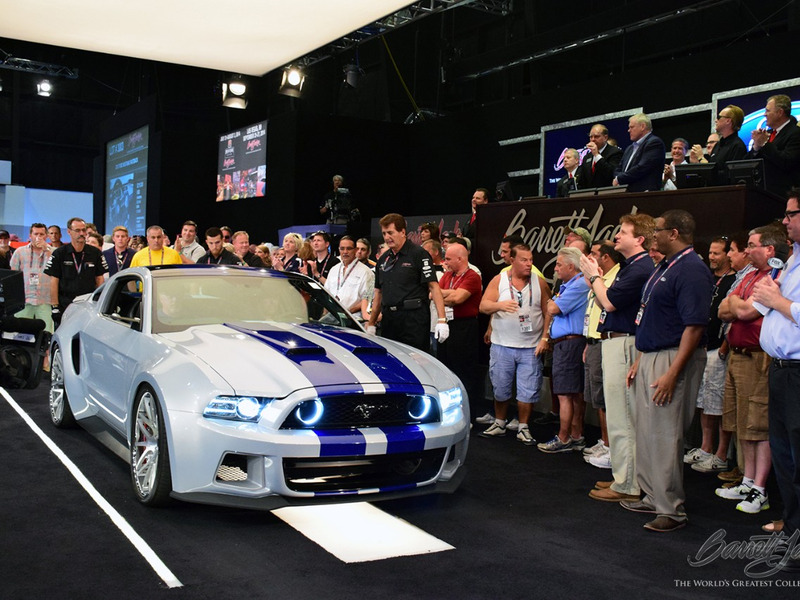 BRIGHTON, Mich - Last weekend at the Barrett-Jackson Auction Company's West Palm Beach event, a Hefty Bid on the "Need for Speed" Mustang helped to Benefit the Henry Ford Health System. The gracious bidder and now the owner of the custom-designed 2014 Ford Mustang GT goes by the name of Dave Flynn. His generous $300,000 donation will go right to the Henry Ford Health System, a nonprofit founded by Henry Ford to support the Edith and Benson Ford Heart and Vascular Institute. For Dave Flynn to snag such a unique Mustang model - 50 years after the birth of the original Mustang none the less - makes for quite the story. What makes his Mustang tale even more special? Knowing that he his generosity is helping others get access to healthcare. Henry Ford Health System was founded in 1915. The organization is one of the nation's leading comprehensive, integrated health systems. It has an outstanding reputation for providing health insurance and healthcare delivery, which includes acute, speciality, primary and preventive-care services, all backed by excellence in research and education. Dave Flynn's Hefty Bid on the "Need for Speed" Mustang Benefits Henry Ford Health System in so many ways, allowing more people to receive the healthcare that they need. Flynn did much more than snag one of the hottest vehicles of the century, he made a massive impact on tons of people who need help. Whether you're a Mustang or SUV fan, we've got something for everyone at Brighton Ford! Stop by the dealership today to see the variety of new, used and pre-owned Ford vehicles that we have waiting for you! Brighton Ford is located at 8240 Grand River Ave. just north of I-96 in Brighton. We are a family owned and operated business that strives for customer satisfaction. For more information on Brighton Ford visit BrightonFord.com or give us a call at (800) 836-8206.